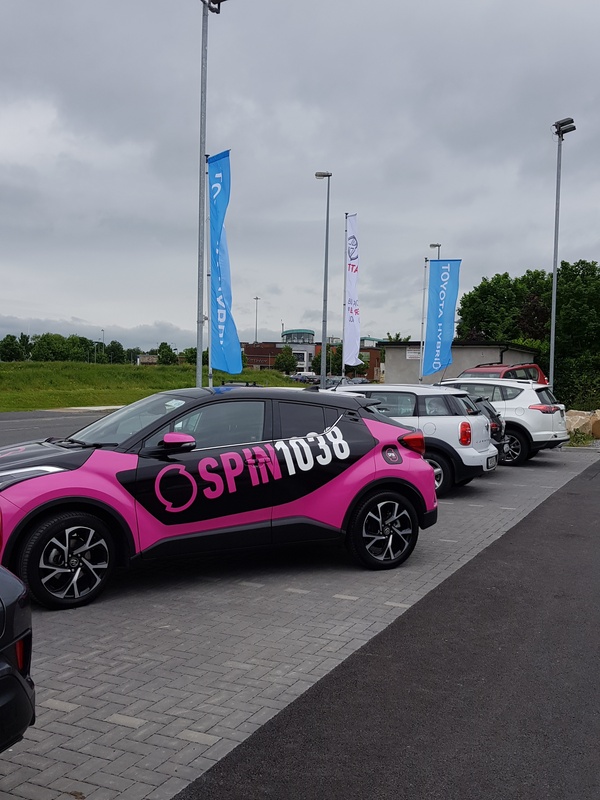 Toyota Hybrid month got off to a great start today with the help of Spin1038, broadcasting live from the showroom with giveaway and goodies for everyone who came into Discover Hybrid. 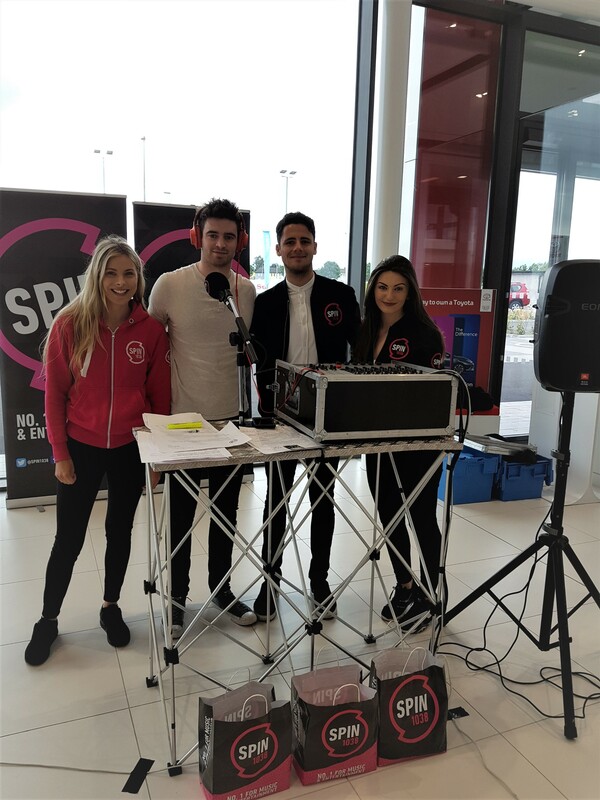 #DiscoverHybrid this June at Toyota Liffey Valley. If you buy a 172 and if you don't love it we'll swap it for a new petrol or diesel, absolutely FREE! #NOPLUGIN This June, discover the Toyota Hybrid Guarantee If you want to understand why thousands of drivers have already switched to Toyota Hybrid, our Hybrid Guarantee makes it easy. Buy a 172 Hybrid and if you don’t love it, we’ll swap it for a new petrol or diesel, absolutely FREE. Up to 50% of the time you drive, you’re in electric mode and yet you never have to plug it in. You use up to 40% less fuel and deliver cleaner air for our children’s children. Start your Hybrid Guarantee with your 24 hour test drive, and see how the Hybrid Guarantee can mean no-compromise switching for new Hybrid drivers. Avail of the Hybrid Guarantee and you'll realise you'll never want to swap your Hybrid back! 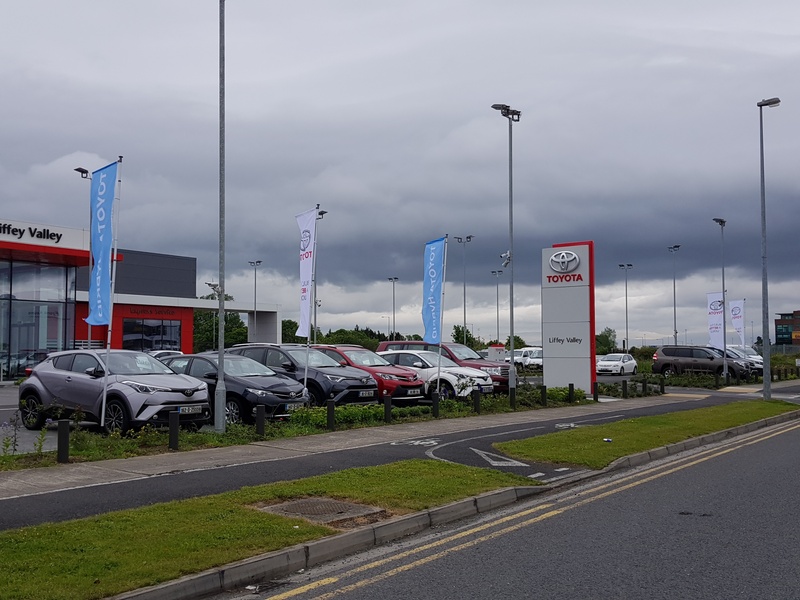 To find out more about the Toyota Hybrid Guarantee, visit your local Toyota Dealer this June and see our widest ever range of Hybrids. Toyota hybrid, all told, is the smarter choice.